Chocolate on the inside and covered with matcha green tea on the outside, these matcha truffles are easy to make and completely adorable. So rich and creamy, these matcha truffles made from Japanese green tea powder are the perfect little chocolate treat. Intense flavors from the raspberry and outer coating of matcha go perfectly with the smooth and rich matcha green tea white chocolate. Look to spend $15 – $30. This salt is beyond amazing. Like, this will make everything you make taste SO SO GOOD. 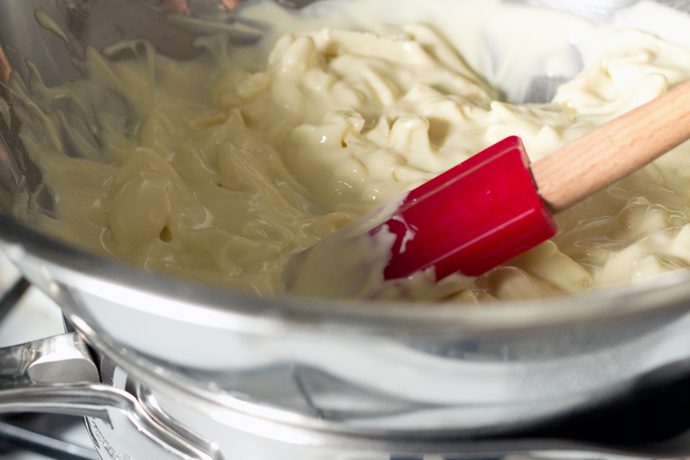 In a saucepan, warm heavy cream and butter on low heat just so the butter can melt. Add salt. 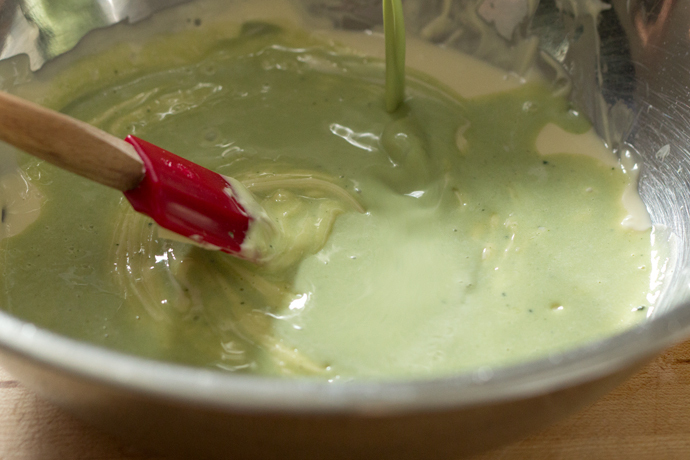 Slowly add the warm cream mixture to the sifted matcha and whisk or stir until there aren’t any clumps. Set aside. 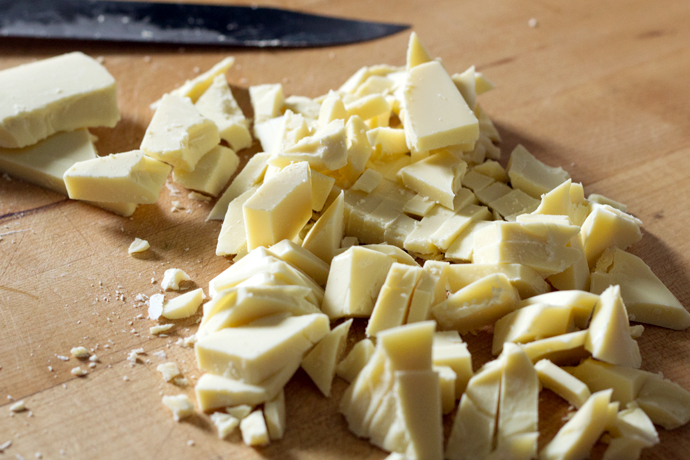 Rough chop the white chocolate and put into a large stainless steel or glass bowl. Put about four cups of water in a pot to boil. After the water comes to a boil, turn off the heat and place the bowl of chocolate on the pot for the chocolate to melt slowly. Stir occasionally with a spatula. 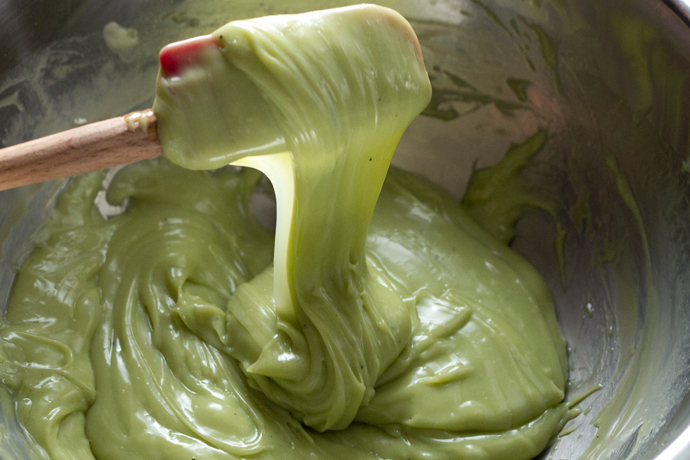 Once the chocolate has melted completely, take the bowl off the pot and pour in the matcha cream into the chocolate. Mix well. If the chocolate starts to separate or look grainy (see photo above), add in a tablespoon of hot water and the chocolate mixture/ganache will come back together. Add another tablespoon of water if needed. The photo above shows what the ganache should look like. 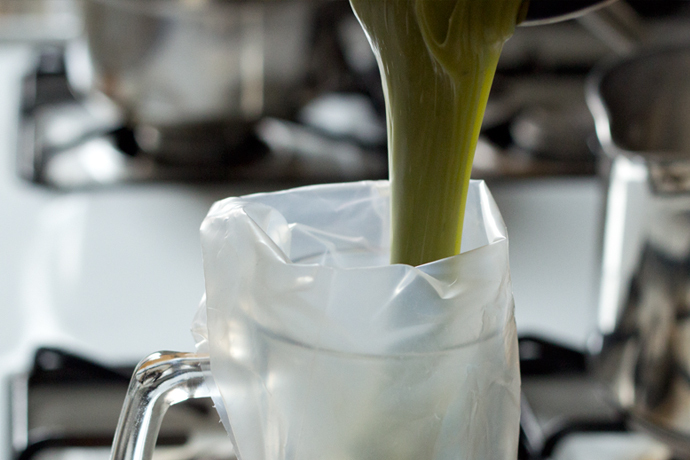 Pour the ganache into a piping bag or a plastic storage bag. Queenie uses a large mug to hold the piping bag to hold it upright while pouring. Pipe the ganache into silicone molds. 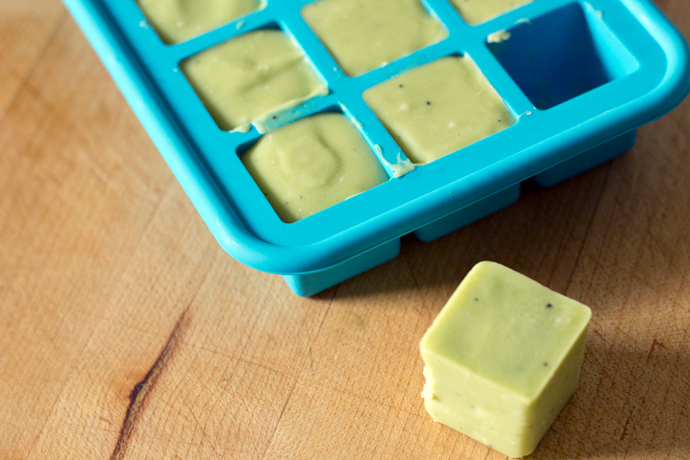 This recipe makes about 20 cubes with each ice cube tray. To get a smooth and even surface, scrape off the top of the mold using a dough scraper. 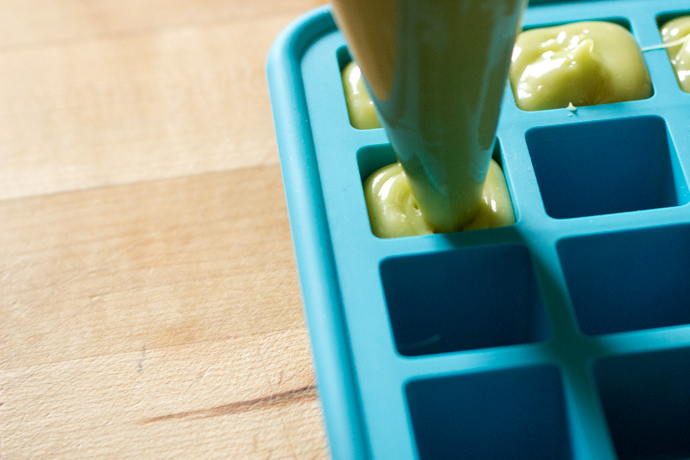 Put the silicone molds into the fridge for about 4-5 hours to solidify the ganache. Once solidified, carefully pop the cubes of ganache out of the molds. 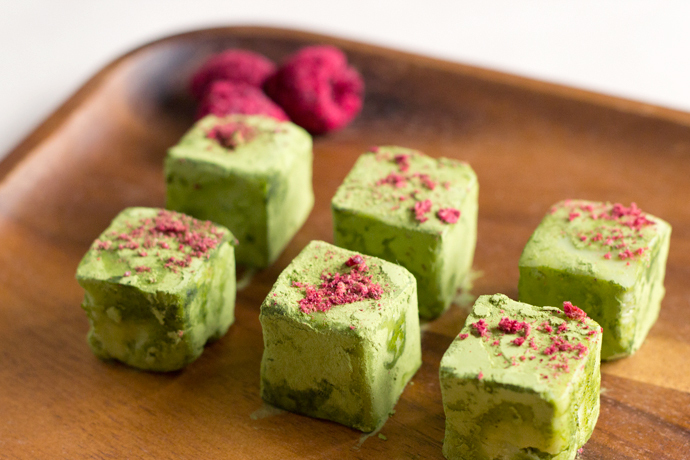 Sift some matcha on a plate and coat each cube of ganache. 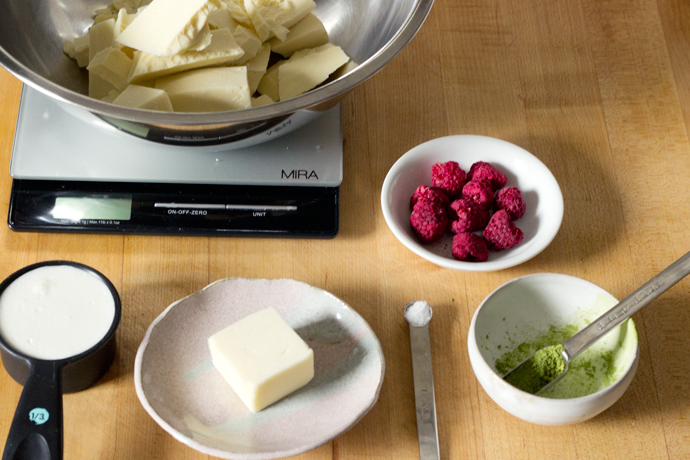 Crush some freeze-dried raspberries on the same plate and sprinkle on top. 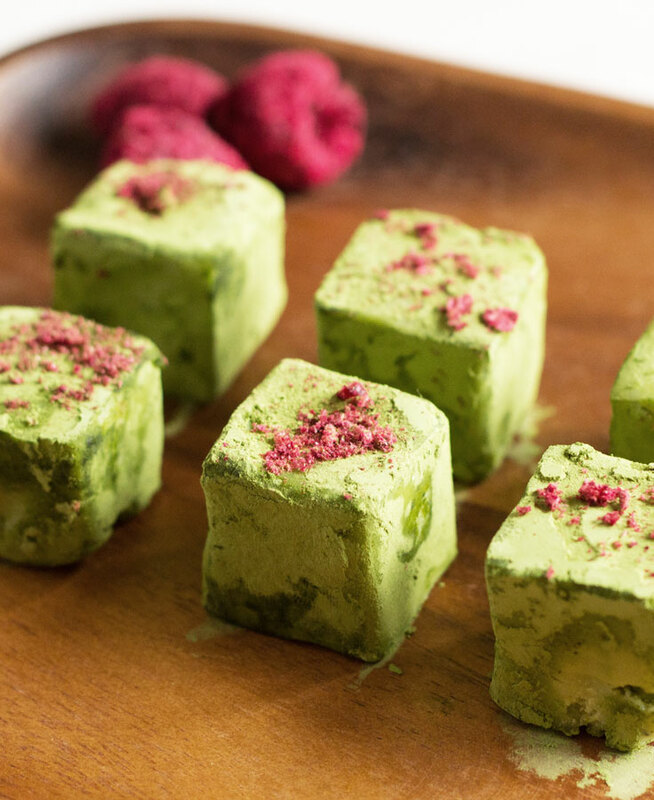 These matcha truffles are easy to make and completely adorable. 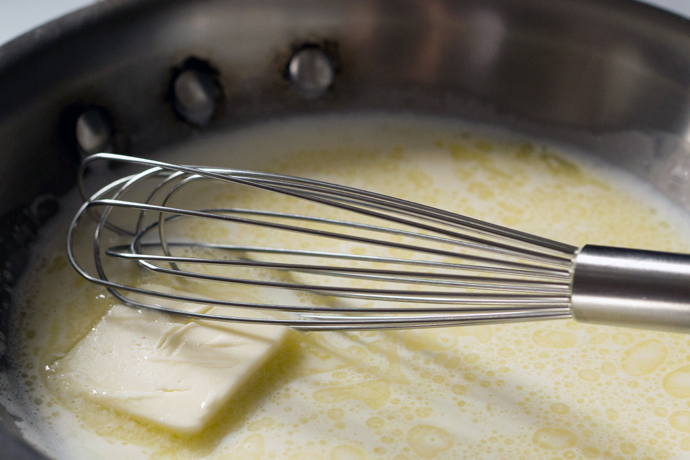 In a saucepan, warm the heavy cream and butter on low heat just so the butter can melt. Add salt. 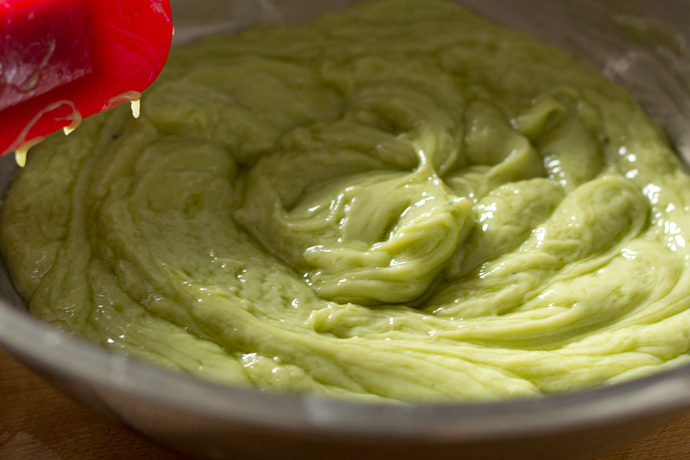 Slowly add the warm cream mixture to the matcha and whisk or stir until there aren't any clumps. It'll also help if you sift the matcha first. Set aside. Put about four cups of water in a pot to boil. After the water comes to a boil, turn off the heat and place the bowl of chocolate on the pot for the chocolate to melt slowly. Stir occasionally with a spatula. If the chocolate starts to separate or look grainy, add in a tablespoon of hot water and the chocolate mixture/ganache will come back together. Add another tablespoon of water if needed. Pour the ganache into a piping bag or a plastic storage bag. Pipe the ganache into silicone molds. To get a smooth and even surface, scrape off the top of the mold with a dough scraper. 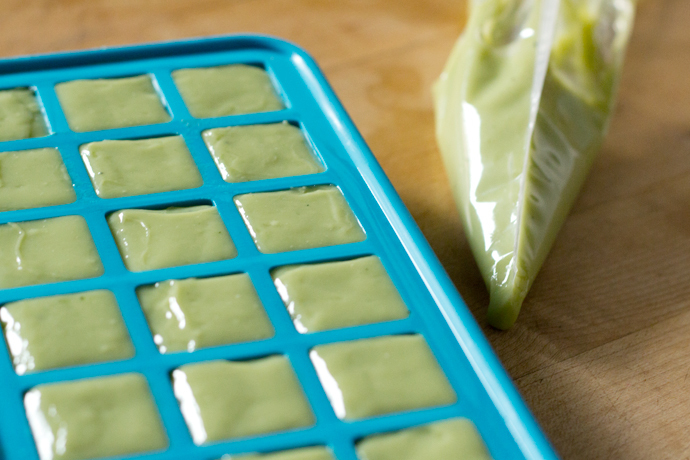 Put the molds into the fridge for about 4-5 hours to solidify. Once solidified, carefully pop the cubes of ganache out of the molds. Keep it refrigerated. It melts easily. Awww, that's so nice to hear, Greensummer! They were *almost* too pretty to eat. These truffles are so easy to make! Wow, I would like to try these for sure!! Hi! 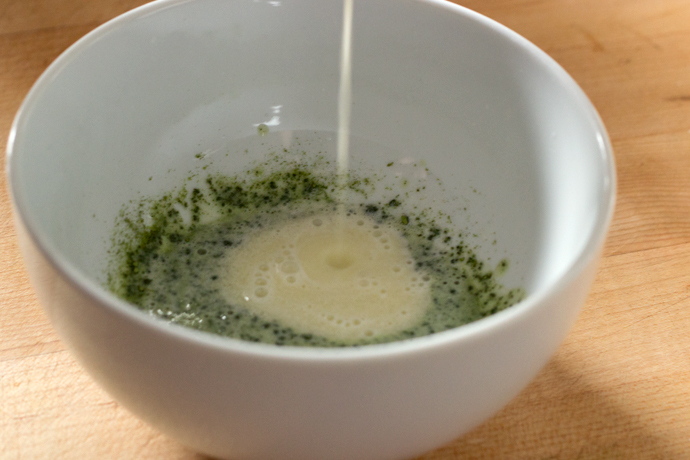 I stumbled upon your blog via Foodgawker… I love green tea. These look so yummy and beautifully presented too. I'm definitely going to try this. Love this!!! 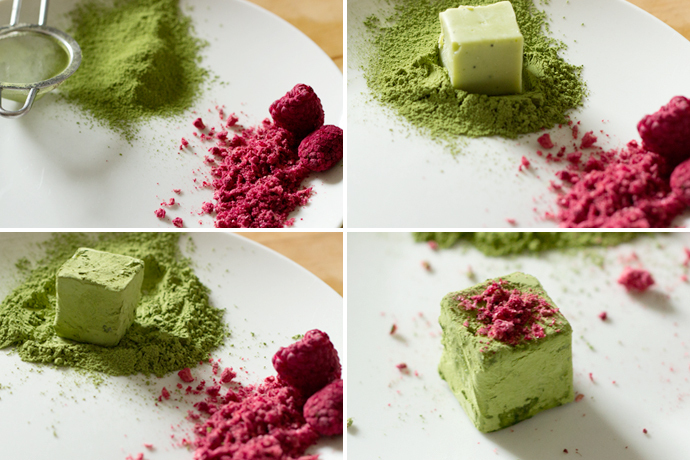 Another idea of what to make with my left over matcha powder. 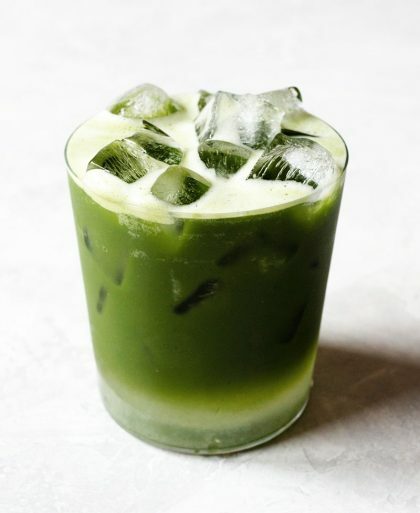 Is the matcha taste strong or subtle? Hi Purabi, go ahead and give them a try. The hardest part is waiting for truffle to solidify. Hi MJ, happy you found my blog! Hope you enjoy making it! Hi cooking.eating.carousing, the matcha is subtle when it's mixed with the white chocolate, but strong when it's used to powder the truffle. So am going to try to make these and with white chocolate. I will wait for the after Valentine's Day chocolate sale* since I prefer darker chocolates. Is there any chance that these can be delivered? Hi notesontea, HAHA, I didn't know that they even had chocolate sales! Hi K, frozen strawberries might be a bit of problem since it'll get wet as it sits on the matcha powder. I think it'll get messy pretty quickly. Yay!! I'm always so happy to see when someone uses a scale. I mean, enough with just the cup measurements, am I right?! Now about you!! Your photos are brilliant. This recipe…totally rocking. I don't see freeze dried raspberries used very often. Kudos for this post! Hi Anjo, thanks so much for the compliments! Unfortunately I can't take all the credit since this recipe was created by my friend Queenie. I'll let her know how much you love it! She also had the brilliant idea to use the freeze-dried raspberries. After seeing these amazing pictures, I couldn't stop trying this recipe myself. Thank you so much, they were delicious. I also tried another variation by using fresh black sesame powder, I think that was also pretty good. Unfortunately, I couldn't find raspberries, so I used strawberries instead. Hi Teasenz, happy to hear you made and enjoyed them! Mmmm, the black sesame sounds amazing. MJ, your truffles came out looking delicious! I made these for Valentine's Day this year and these are delicious! They were very easy and quick to prepare. Here are a couple of minor problems I had: 1) I could not find any silicone ice cube trays so used a regular one and used a plastic knife to loosen them. They were a little rough around the edges but not bad. In future if I cannot find the silicone ones I may try spraying the trays lightly with baking spray. 2) My tray held 14 cubes and I just had enough for that one tray and these were not quite flush with the top of the tray. So I would likely double this recipe if making for many people. 3) I do not have a professonal piping set so used a plastic bag. While this was excellent tip, I am not adept at piping and believe the ganache would have been just as easily spooned into the tray. 4) Finally, I could not find freeze dried raspberries so used frozen and right before serving I crumbled the frozen berry over the truffle but this could not sit long or the berry would melt and juice would flow over the truffle. The ganache came togethe beautifully. The flavour for these truffles is devine. I am not a huge white chocolate fan but the matcha cut through the sweetness beautifully. Everyone I gave one to – even my fussy mother and sister really liked them. My boyfriend rated these at 9.75/10 and I gave them 10/10! I will definately be making these again and may try using a heart shaped mold next Valentines. I may also try steeping a raspberry green tea teabag in the cream mixture first as the green tea raspberry flavor was excellent. I recommend these to anyone reading this as it truly is an easy recipe and one worth trying. Hi Jesse, glad it turned out well for you, even with the adjustments! 10/10!!! 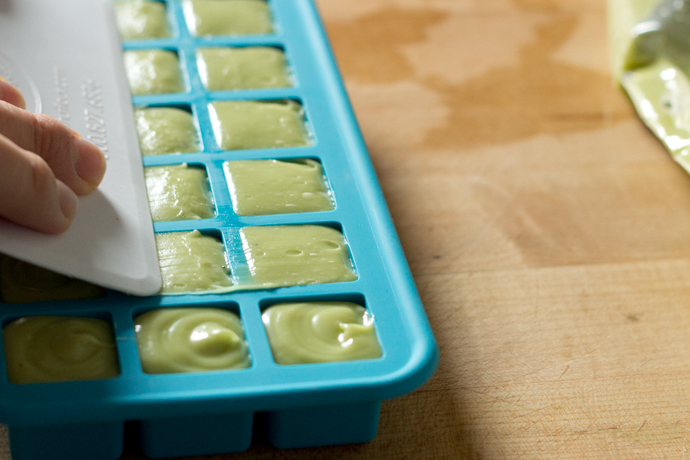 The piping set was just to make sure things didn't get too messy and to help with getting the matcha chocolate into the corners of the ice cube tray. 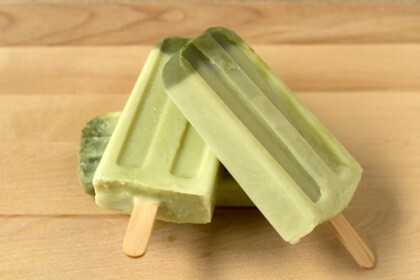 I'm not much of a fan of white chocolate either, but it really brought out the matcha flavor. The raspberry green tea idea sound fantastic! Thanks so much for trying out the recipe and for your comment & tips! Just made these for a charity bakesale. I made three recipes. They look beautiful! Thanks for this great blog! It did get a little grainy but instead of adding the hot water, I just put the bowl over the pot of hot water and it did the trick. Nice solution, batsheva! Happy it worked out well for the bake sale! How fun! I like to make truffle recipe at home in free time. By visiting your blog, I have got a new idea about truffle food!!! 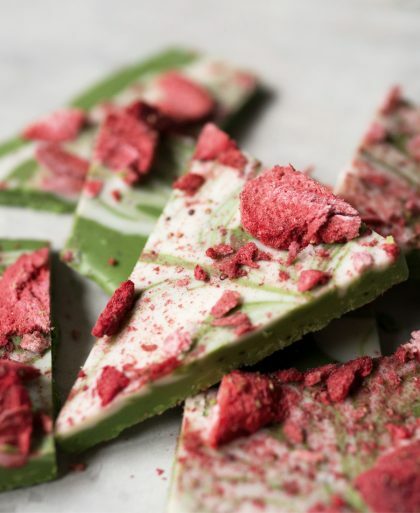 Can one add something like soya flour to the mixture as i find most chocolate a bit sweet for my liking and would like to dampen down the sweetness a bit… or would that ruin the texture? Hi Bish, according to Queenie who came up with the recipe, since there isn’t any flour in the recipe it’ll be odd to add the soya flour as it may change the texture.